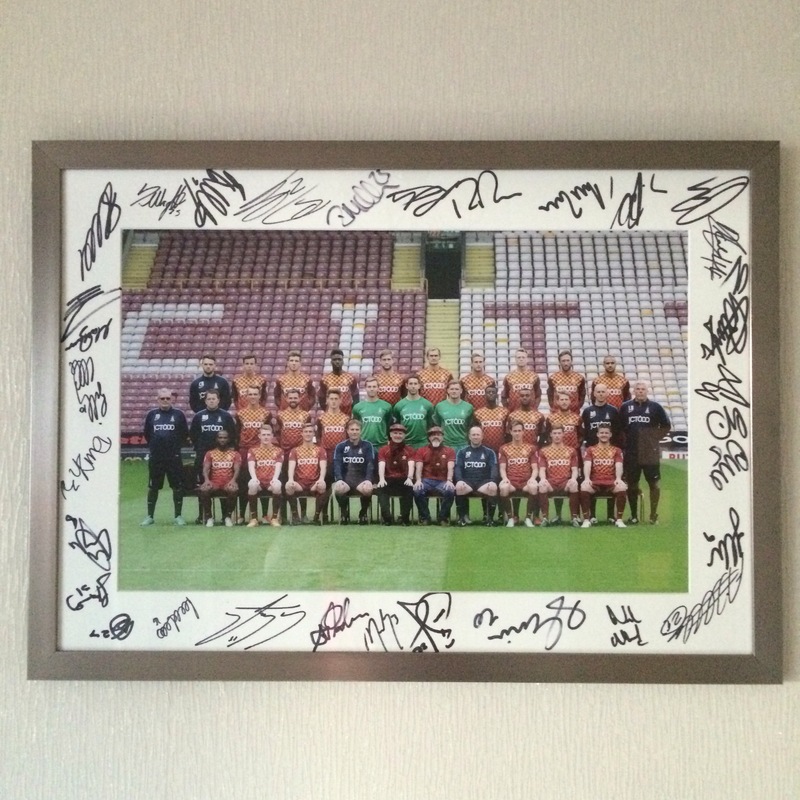 Some time ago, around September, I was enticed to Valley Parade by my Turnstylewear business partners, Jeremy and Liz, on the pretence of being interviewed about our new venture by the local newspaper. 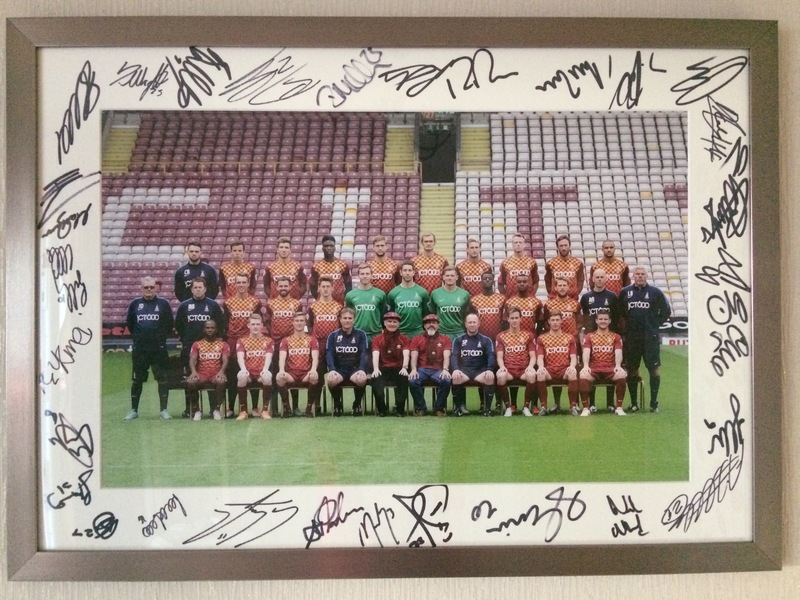 The real purpose was to be part of the official Bradford City team photos that sponsors appear in. 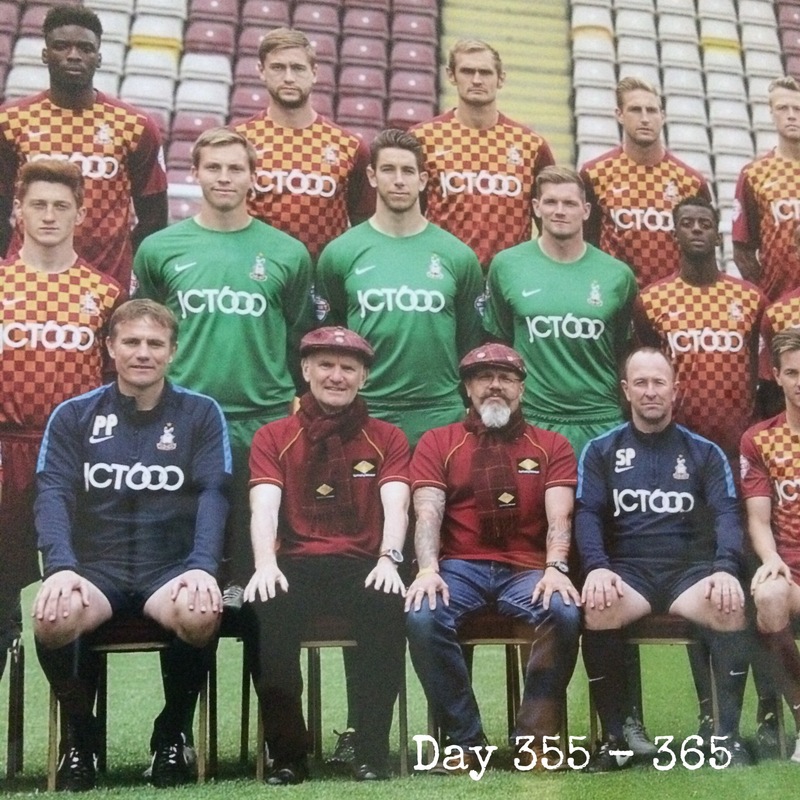 As, in the guise of Bantams Flat Caps, we have raised over £20,ooo for the PSBRU, James Mason, CEO of Bradford City, asked us to be in a picture. A few nights ago, at our very first Christmas meal as Turnstylewear, the framed and signed photograph was a present from Jeremy and Liz.